Blind strips the name off of the resume to reduce racial or gender bias during the first round of hiring. To support equality and diversity in the hiring process. White male applicants receive up to 36% more callbacks than their peers based on their names. 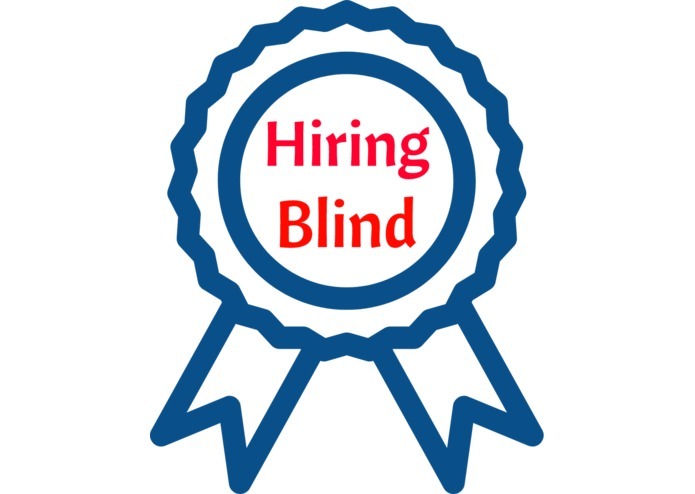 Blind strips the name off of the resume to reduce racial or gender bias during the first round of hiring. Blind uses natural language processing to identify the name and email on the resume. 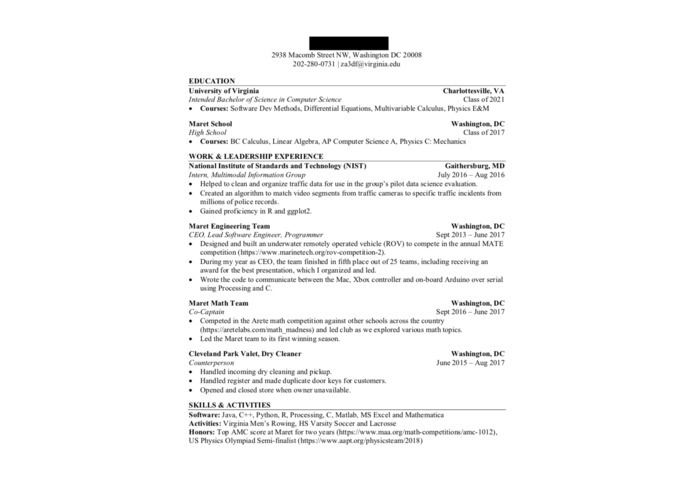 It then generates an unbiased resume where both pieces of information are blocked out. Upload your resume in PDF format on the demo website. Choose how much information you want to remove by clicking the buttons below the submission box. The new PDF will automatically download onto your computer. Coordinating all of the dependencies among our computers and AWS. Identifying and removing non-standard characters. Finding both a person's first and last name. We would have liked to include the improved version of the natural language processing but it was too large for AWS in its current state. Removing other potential biases on resumes such as age or location. I parsed the pdf file to find where the name was. I also built the backend for the web server and integrated it with elastic beanstalk on AWS. I used natural language processing to identify names and regex to identify emails. I also did performance testing on different models. I worked on "black-box"graphics and front-end development.